I haven’t done a Cult Collection post in so long! This one has been on my bucket list since May when I bought the product but I just haven’t had the time to do the photos. In this issue we are going to talk about Yves Saint Laurent’s (YSL) Touche Eclat, a highlighter, concealer, and brightener. The beauty secret of the world’s top makeup artists and models, Touche Éclat is the original must-have for a radiant, flawless face. Capture 8 hours of sleep with the click of a pen. With a few strategic strokes of this award-winning complexion highlighter—dark circles, fine lines and signs of fatigue virtually disappear. Powered by the radiance-boosting Luminocaptide Complex, skin is instantly illuminated, so you look rested and refreshed—even if you’ve been up for hours. Sleek and sophisticated, it discretely slips into a makeup bag for quick touch-ups anytime. It’s the one beauty essential no woman should ever be without. I picked this up at Holt Renfrew in Calgary when I was there in May (weird enough, as I was writing this the SA literally called me to tell me about their upcoming Private Shipping event). I beelined straight to the YSL counter (we don’t have one where I live) and picked up this product as well as a few lipsticks. The very helpful sales associate explained the product in detail to me, showing me it’s effects and telling me how popular it is. Apparently, one of these are sold every 10 seconds in the world. Crazy, considering it’s expensive price tag ($40 USD, $50 CDN). However, it is a fashion magazine editor favourite, so it must be good, right? The product works by clicking the button at the end of the pen, where the product is distributed through it’s attached brush. 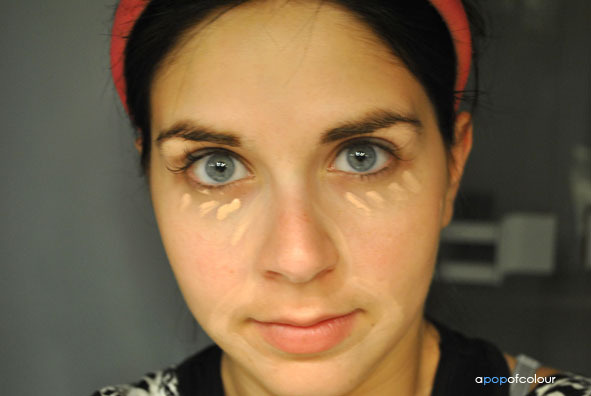 You then apply the product anywhere that needs brightening and/or concealing. I usually apply it under my eyes and around my mouth area. 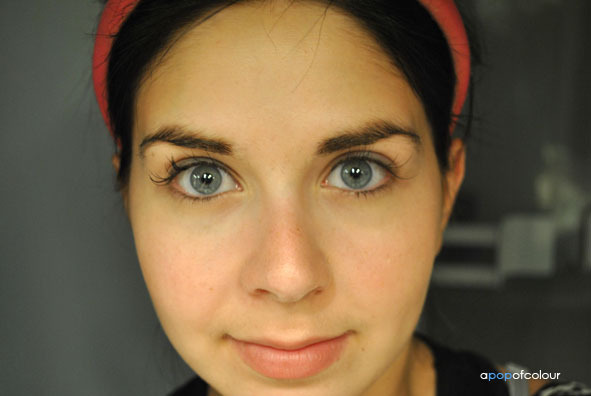 For the case of this blog post I also applied it underneath my eyebrows and around my nose. Before. All I have on is moisturizer and a face primer. After, with YSL's Touche Eclat blended in. As you can see from the photos, my face does look noticeable brighter. 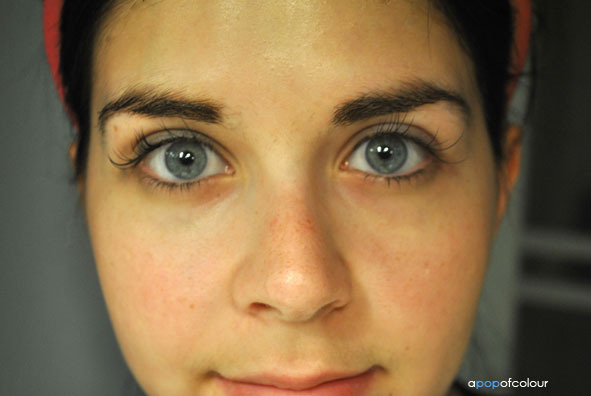 In the after photo (above) I only have Touche Eclat on with a foundation primer and moisturizer, no foundation. They claim that it’s eight hours of sleep in a pen. I personally haven’t tested it after pulling an all nighter (I haven’t pulled one of those since I was like 10), but it really does do what it says. Whether or not it’s worth the $50 CDN price tag, well, that’s up to you. If you look around online you can find some recommended dupes for it. 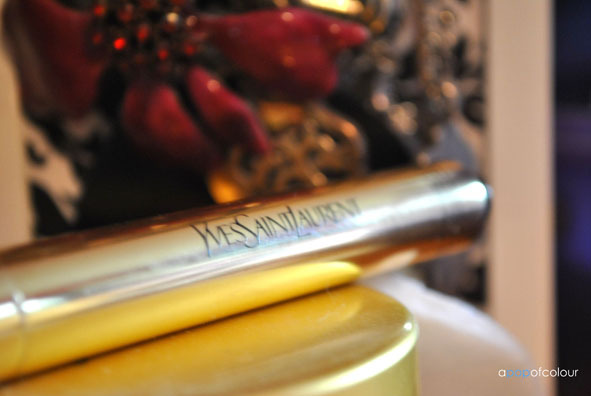 As for the actual pen itself, the YSL sales associate said that it would last up to 70 clicks, which may not sound like a lot, however, you don’t need a lot of clicks to get a lot of product. Usually I’ll do two clicks if I’m applying it all over my face, or one if I’m just using it under my eyes. The stuff really does spread out; you don’t need a lot of product to cover every area. So would I recommend it? If you really want it then go for it, otherwise a concealer and a highlighter will do just fine. One of the main reasons I got it myself is because it’s not available in my city, plus it’s a true cult beauty item; I had to try it. It does do what it says, but I don’t think it’s a staple in my book. Would I repurchase it? I’m undecided right now. The high price tag though is definitely a put off. If it was between that or a YSL lipstick, I would definitely go with the lipstick, but that’s because I’m a lipstick kind of girl. 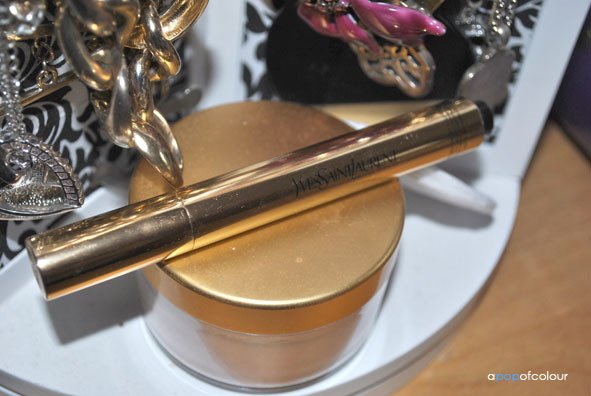 Have you tried YSL’s Touche Eclat? What were your thoughts? Hit or miss? Cult or over-hyped? Leave a comment below!